Blonde in the summer, dark in the winter are we? If you like to transition your hair color according to the season, this video is for you. 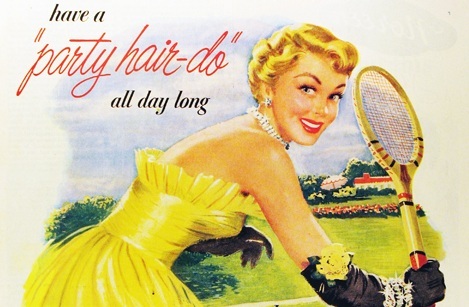 Hair safety is our number one priority, and we tell you here how to achieve your best results. Aging gracefully? Let’s do it! We’re dishing out advice about transitioning from artificial hair color to your natural gray. Hair greasy? Dry? Uncooperative? If you are shampooing every day, that may be the culprit. Suffer no more! This tutorial will help you get your hair out of your face and off your neck, quickly! A New Year’s Resolution Kept! Glamour Up! was my New Year’s Resolution advice for 2015. Even if it is only once a month for something nondescript. I wanted you all to know that I take my own advice and try to walk the walk as much s possible. I attend Bingo at the local Elks lodge once a month, and I utilize this opportunity to gussy up once in a while. I went last night and I wore vintage mink and heels. 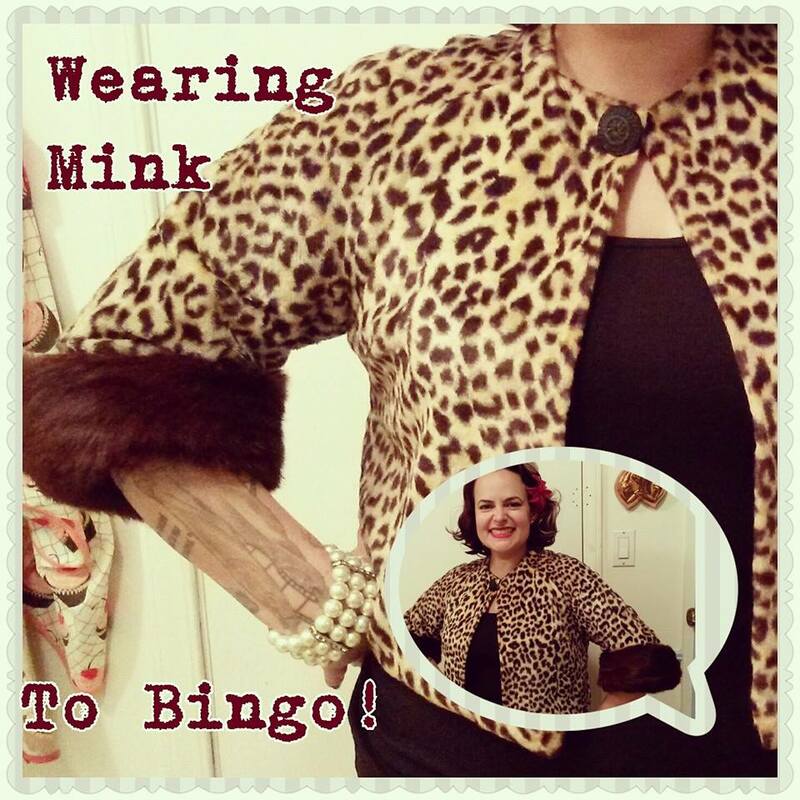 Yes, I said mink. I was definitely the most overdressed person there by far, and I will tell you this, my dear readers. I was the best dressed one there as well. So- even if you feel a bit self conscious about being over dressed, let me say this: you will clearly be the better looking of all your peers, so who cares?! Grandma always said there is an outfit for every occasion, but As The Curl Turns believes there is a better version of that outfit to be had as well. p.s- Is your dog’s stomach on the fritz? Try a plain baked potato. That big front roll will elude you no more! Really Warm Blondes….Tsk Tsk Hairdressers! I was in a waiting room the other day when I was passed by a lovely woman with the most dismaying shade of unnaturally warm blonde hair. Please do not misunderstand I love unnatural shades of hair. I myself sport an ode to Cruella Deville. But bad warm blondes just rub me the wrong way. Especially the very brassy ones. This particular young lady happened to be of Hispanic descent, which means a thicker hair shaft, which means notoriously harder to get light blonde, which means orange/yellow/gold warm blonde when not handled correctly. Handled correctly how you might ask? I’m so glad you did! 1- Realistic Expectations- If your client is clearly not going to get to a nice ashy blonde, or a pretty golden blonde, TELL THEM THAT. Let’s be honest- certain hair textures are clearly harder than others to lift. It may take more than one visit to get your Asian, Italian (me!) or Hispanic client platinum. 2- Toner- Please tone your clients! I do not understand the mentality of not toning bleach blonde clients. Bleach can’t do it all. If our client is yellow or brassy, tone them! Lordy. 3- Highlight- Instead of an all over uncontrolled bleach that may turn out who knows how awful, try highlighting in multiple visits to slowly get them blonde. The hair will be healthier and lighter, and those brassy warm tones won’t be as much of an issue. Grandma may say look on the sunny side, but As The Curl Turns believes the cooler side is sometimes best. p.s.- the secret to a great dip? Mix the dip the night before the party. It gives the dry soup mix time to hydrate and absorb into the rest of the creamy ingredients.